The Mahabharata is the longest epic ever known to mankind. 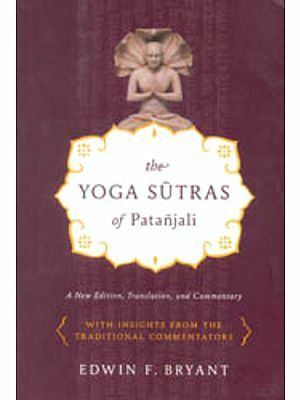 It is a complete epic because, besides being a literary classic, it is a supreme treatise on yoga, philosophy, and the science of human behavior. It is an exhaustive manual of morals and manners. The origin of the Mahabharata is shrouded in mystery. Countless scholars have tried to trace the personality of its author. Finally, Krisna Dwaipayan Vedavyasa (in short Vyasa) has been mentioned by many as its compiler. But doubts still persist on all these counts. How was it possible for one man to compose over a hundred thousand verses? Being handed down by oral tradition, was the Mahabharata finally written down in 800 B.C., or 2000 B.C.? There is no conclusive answer. In the West, there is a tendency to put a time frame from the historical perspective on everything which the people of Vedic culture do not agree with. In this case, rather, they would prefer to say in the ancient time. 3. And the third as narrated again by Sage Sauti, who had heard Vaisampayana's recital. Additions and interpolations must have crept in at various times, till the advent of the printing press and the standard editions. So, there are variations in references in some places in different versions. 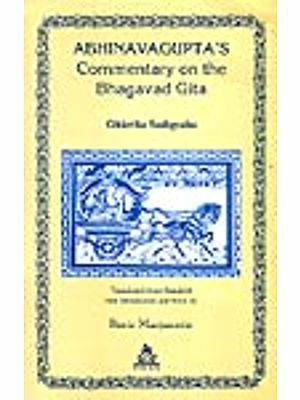 The Bhagavad Gita, the famous holy book of the Vedic Aryya Civilization, is a tiny part of the Mahabharata, the great epic of India. It is in the Bhisma Parba of the Mahabharata. The Bhagavad Gita contains seven hundred verses in eighteen chapters. When King Vichitravirya of Hastinapur (currently Delhi) died without children, his mother, queen Satyavati, requested her son, Sage Vyasa (the complier of the Mahabharata), whom she conceived in her maiden age from Yogi Parasara, to produce sons through the two queens (both queens were daughters of King Kasiraj) of his younger brother, Vichitravirya, so that the lineage could continue. He obliged his mother's request although he was observing a long vow of austerity at that time and his physical appearance had become terrible. As a result, he requested her to wait for a time, but she did not want to wait as it was very important and necessary. The daughters-in-law were told that one of their brothers-in-law would visit them, but it was not mentioned to them who it would be. When Vyasa visited the first queen, Ambika, seeing the ugly form of Vyasa she closed her eyes; as a result, she gave birth to a blind child, Dhritarastra. The second queen, her younger sister, Amabalika, seeing the ugly Vyasa, became pale, and as a result, she gave birth to a pale child, Pandu. 1. The blind king, Dhritarastra, not being able to see, loved to live in the dream world where he could see in the dream and that was his understanding of life, as a dream. As a result, he had no idea of actual life as an average person. Hence, he was representing the "blind mind" in the light of Kriya. Sage Vyasa, being kind, offered Dhritarastra the divine power of vision so that he could see the Kurukshetra war, but he declined the offer considering that he had not seen the faces of his one hundred sons (the Kauravas) since they were born, there was no interest or reason for him to see them dying in the hands of the powerful Panda vas (the five sons of his younger brother, Pandu). Instead, he said to Vyasa to give the divine power to Sanjaya, one of his ministers from whom he would get the report of the war. 2. Sanjaya, was representing the "just mind" in the light of Kriya. Sanjaya went to fight in the Kurukshetra war on behalf of the Kauravas and once he was cornered by one of the Pandava generals who was about to kill him. At that time, Vyasa appeared in the battlefield and requested the general to spare Sanjaya's life. Thus Sanjaya returned to the blind king, Dhritarastra. So to begin the Bhagavad Gita the blind king, Dhritarastra, asked his minister, Sanjaya, "What has happened at Kurukshetra between my sons, the Kauravas and the Pandavas, the sons of my younger brother, Pandu, assembled for war?" 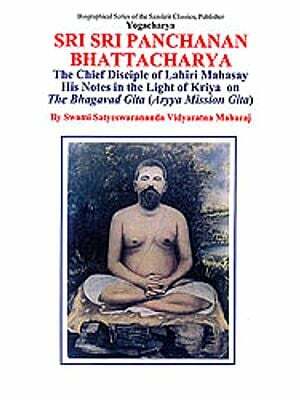 Sanjaya described the war to the blind King, Dhritarastra, and towards the end of the Bhagavad Gita he admitted that it was possible to describe it by the blessing of Vyasa (Vyasa prasadat). Yogang Yogeswarat Krisnat sakshat kathayata swayam. The verse says, "By the blessing of Vyasa, I have heard this very secret Yoga directly from the mouth of Krisna, the Lord of Yoga (Yogeswar). " 3. Prince Arjuna, the third Pandava, was the third character of the Bhagavad Gita. He was representing "the power of prana (the energy of the individual Jiva)", the seeker, as the fire or energy element from the middle of the body at the lumbar center behind the navel. 4. Lord Krisna (the fourth character) as Prince Arjuna's guide (Guru) and pilot of his chariot, from the Ajna Center (that is, at the medulla oblongata), the reflection of which is seen at the area between the eyebrows in the spiritual "Third Eye." Apart from these four characters of the Bhagavad Gita, a detailed list is given towards the end of the introduction of the prominent players of the Kurukshetra war, the repetition of the ancient war of the gods and anti-gods. The message of the Bhagavad Gita was told by Lord Krisna to Prince Arjuna, the third Pandava, in the midst of the war which was about to begin between the Pandavas and their cousins, the Kauravas, at Kurukshetra. The background in brief was that from the very young days there was a competition and trouble between the Kauravas (the one hundred sons of blind king Dhritarastra) and the Panda vas (the five sons of Pan du, the younger brother of Dhritarastra). The Kauravas sent the Pandavas away for twelve years in exile and one more year to live incognito in the forest by defeating them in a game of dice played in a tricky way, and grabbed their portion of the kingdom. After thirteen years, when the Pandavas came back and claimed their portion of the kingdom, the first Kaurava, Prince Duryodhana, disputed that they had recognized the Pandavas in their incognito year; hence, according to the terms agreed, they would have to go back again for twelve years and one more incognito year in the forest, which their grandfather, Bhisma, did not agree with; rather, calculating accurately he said that the Panda vas finished the tenure correctly and Duryodhana's dispute was not justified. But Duryodhana did not agree with the grandfather's calculation and became adamant not to return the Pandava's share. Then the first Pandava, Yudhisthira, proposed to let them have just five villages to live in and they would be satisfied with five villages only. At this, Prince Duryodhana said that without war he would not give that much land which one could hold even at the tip of a needle. As a result, war was not possible to avoid, and the war at Kurukshetra became inevitable between the Kauravas and the Pandavas. The war was not possible to avoid because it was decided in the Brahmaloka (the sphere of Brahma), that Lord Visnu would be incarnate as Krisna to fulfill his promises given to many people in the past. So it became clear that the war of the devatas (deities or gods) and daityas and danavas (anti-deities or anti-gods) of the ancient time would repeat on earth in the dwapara yuga, during the incarnation of Krisna. It becomes imperative to mention here the ancient rivalry of these siblings. In the ancient age, there was a sage by the name of Kasyapa who was given many daughters in marriage by Daksha Prajapati. Sage Kasyapa had twelve children by his wife, Aditi, and so they were known as the twelve Adityas or devatas (gods); by his wife, Diti, he also had many children who were known as daityas (anti- gods); and also by another wife', Danu, he had many children who were known as danavas (anti-gods). These devatas, on the one hand, and the daityas and danavas on the other, always were in the habit of fighting to have control over heaven. It is traditionally called Devasur sangram (the war between devas or the gods and the asuras - the anti-gods). So in the forthcoming plan of incarnation, all the devatas were born to join the Pandava side and the daityas and danavas were born to join the Kaurava side, and that was the reason why it was not possible to avoid the war. 3. He had to be returned to Soma when Abhimanyu would attain sixteen years of age. So it was fixed that the Kurukshetra war had to start when Abhimanyu became sixteen years old. When the Panda vas were in exile, Abhimanyu was living with Lord Krisna who taught him military science. On the battlefield, Prince Arjuna requested Lord Krisna, his guide and pilot, to place his chariot in the middle of the two waging groups of war, so that he could see with whom he had to fight. Looking at the other side, he saw his grandfather, Bhisma, on whose lap he played in childhood and treated him as his own father because his own father, Pandu, died when he was a young child, and as a result, he grew up playing on Bhisma's lap. He noticed his military teacher, Dronacharya for whom he had tremendous respect. He observed Kripacharya, the priest, and his maternal uncle, Sailya; he loved both of them and also he saw the Kauravas and others. Prince Arjuna became depressed, he did not like to fight. He said to Krisna, "I do not feel to fight. I do not want to kill all these people whom I love and respect. My mouth is dry, my bow, Gandiva, is falling from the shoulder. I do not want the kingdom, but rather, to go on living by begging, rather than killing these dear ones. Again, if I kill them, then without men, the women of our dynasty will mix with other men; as a result, there will be mixture of blood (varna sankar), which will create problems and sins." Thereafter, Arjuna increasingly became very depressed. 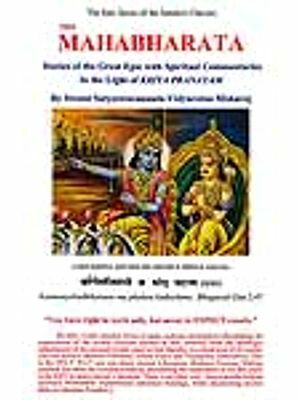 At this point, Lord Krisna encouraged Arjuna and gave him advice to fight in the middle of the war, and this became famous as the Bhagavad Gita.